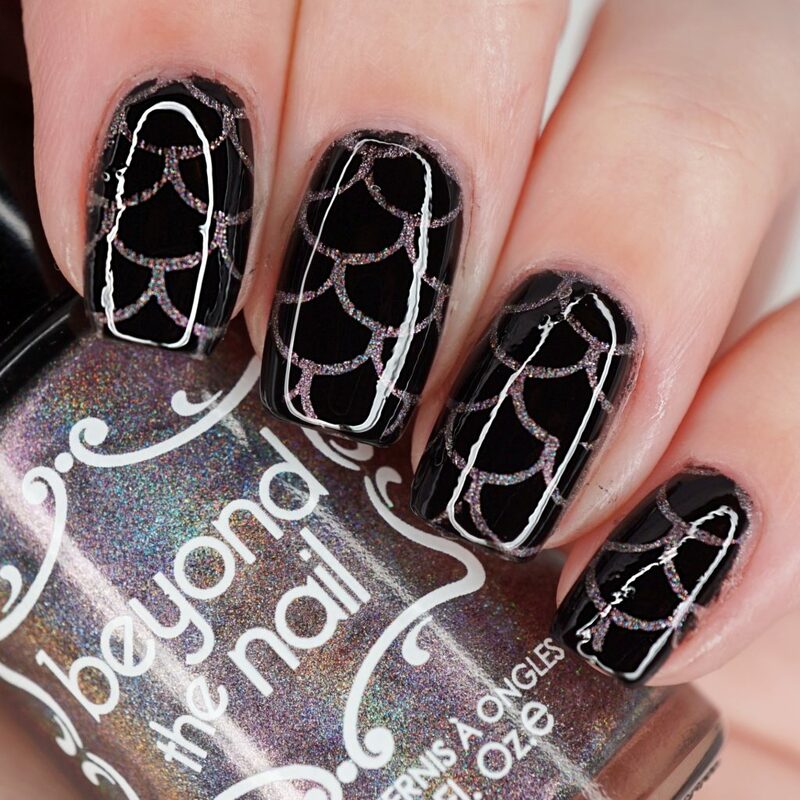 I honestly need to get back into doing more nail art – I love how these dark mermaid scale nails turned out, especially with the help of some nail guides which made this super easy! I started by painting each nail with one coat of PRO-FX – Complete 3 as my base. Then I painted two coats of Beyond the Nail – Spirit on each nail. When everything was dry, I painted one coat of PRO-FX – Quick Dry Topcoat over each nail. I waited about 10 minutes to ensure everything was completely dry before placing on the nail guides. If you don’t wait for it to be dry, you’ll risk the chance of lifting up the nail polish as you lift away the nail guides. I placed on a Mermaid Scale Nail Guide onto each nail and sponged on Beyond the Nail – Deep Black over each nail. I immediately peeled off the nail guides off each finger and let it dry for about 2 minutes – since I sponged it on instead of painting it, it was a thinner layer so it didn’t need as much time to dry. To finish this look off, I topped off each nail with one coat of OPI – Start to Finish. What do you think of these Dark Mermaid Scale nails?